In the Bet365 West Yorkshire Hurdle (2.45) at Wetherby on Saturday, former winning point-to-pointer Ballyoptic made excellent progress over hurdles last season, culminating win a game win from subsequent Grade One winner Bellshill in the Doom Bar Sefton Novices’ Hurdle, over an extended 3 miles, at Aintree last April. 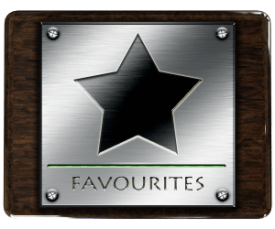 The King’s Theatre gelding demonstrated his well being with another game win in the Totepool Silver Trophy Handicap Hurdle, over 2 miles 3½ furlongs, at Chepstow three weeks ago and, stepping back up in distance, must take all the beating. 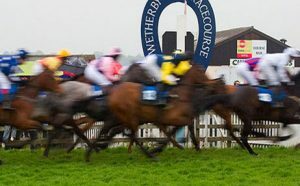 The going at Wetherby is currently good but, with an unsettled forecast for the rest of the week, some easing of the ground is a distinct possibility. Any rain that falls is in his favour, but he should run his race regardless of the weather in West Yorkshire and he looks a worthy favourite. The European Senior Tour returns to Italy for the first time since 2010 on Thursday with the Italian Senior Open at Golf Club Udine and there are reasons for believing that Peter Fowler (13/2) is a worthwhile favourite to carry off the lion’s share of the €350,000 prize money. The 57-year-old Australian is still in search of his first title of the season, but has been nothing if not consistent, recording six top ten finishes from ten starts, including tied sixth in the Paris Legends Championship and tied fourth in the Travis Perkins at Woburn on his last two outings. 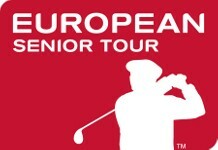 He currently lies fourth in the Order of Merit – in which he’s finished in the top five in five out of the last six seasons – having amassed €132,062 in prize money and it must surely only be a matter of time before he adds to his five European Senior wins. Fowler faces stiff opposition, in the form of Magnus P Atlevi and Stephen Dodd, first and tied second in Paris, and European Senior Tour debutante Philip Price, to name but a few, but can gain due reward for his consistency. 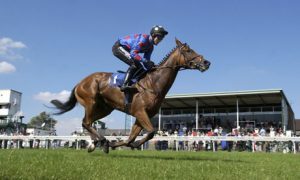 In the 4.15 at Hereford on Thursday, The Tourard Man was put back over hurdles after an abortive spell over fences last winter, but has done nothing wrong this time around and can complete a five-timer. Twice a winner in the point-to-point sphere earlier in his career, the Shantou gelding has looked much more the finished article over the larger obstacles on his last two starts and, while he didn’t have to be at his best to beat the only other finisher, 125/1 outsider The Jugopolist, at Southwell in August, he did so with consummate ease. Despite the ‘steadier’ of 11st 12lb, he remains 2lb lower in the weights than when winning over hurdles at Warwick three starts ago and has winning form on going ranging from good to firm to soft, so shouldn’t be inconvenienced by the forecast drying conditions. Wayne Hutchinson, who’s ridden him to both victories over fences this season, is once again in the saddle and has just the one ride during the afternoon.